Stephen Seidel is Senior Advisor at the Center for Climate and Energy Solutions (C2ES). His areas of focus include managing climate risks affecting both government agencies and private sector companies, analyzing federal regulatory activities, and advising on the implementation of sustainability programs. 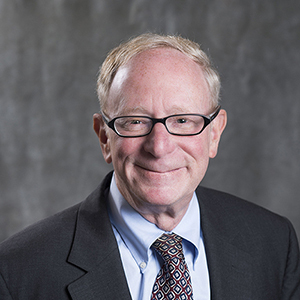 Previously, Mr. Seidel was Vice President for Policy Analysis and General Counsel at the Pew Center on Global Climate, C2ES’s predecessor organization. Mr. Seidel has more than 25 years of experience on global environmental issues. He managed EPA’s Stratospheric Protection program, including development and implementation of the Montreal Protocol on Substances that Deplete the Ozone Layer and the regulatory and voluntary partnership programs under Title VI of the Clean Air Act. Mr. Seidel also served as a Senior Analyst at the Council on Environmental Quality and the White House Climate Change Task Force. Under the International Civil Aviation Organization, he co-chaired a multinational working group on market-based measures to limit greenhouse gas emissions. Mr. Seidel has a degree in economics and urban studies from Columbia University and a law degree and master’s in city planning from Rutgers University. This brief explores myths and facts about intellectual property rights as they are covered in the Montreal Protocol, an agreement to limit high global warming potential (GWP) gases.